These Haitians, in the Cité Soleil (City of the Sun) section of Port-au-Prince, are in line to receive food distributed by the Brazilian battalion of MINUSTAH (the United Nations Stabilization Mission in Haiti). The provisions were supplied by the UN World Food Program. 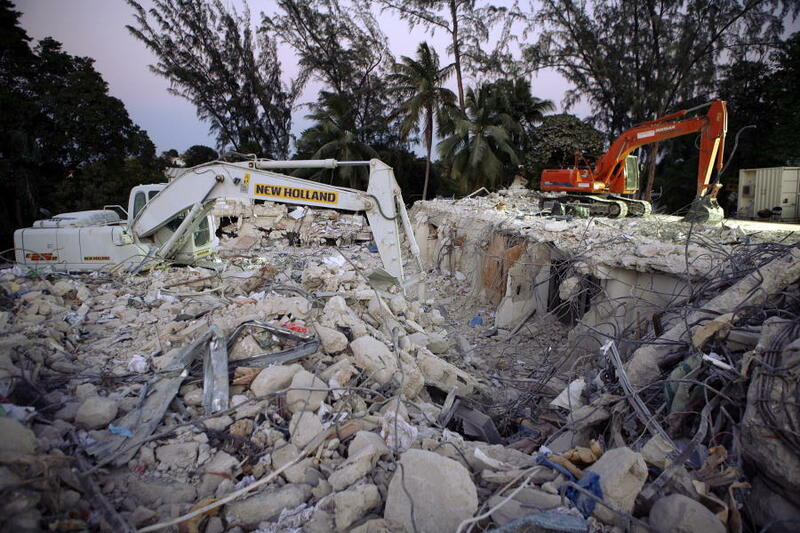 The building which served as headquarters for MINUSTAH was massively damaged by the earthquake. Half of it collapsed completely, and many UN aid workers died. This photograph was taken on the 19th of January, 2010, by Sophia Paris. Click on the image for a better view. UN Photo/Sophia Parks, online at Flickr, courtesy the United Nations. Bos, Carole "Food Assistance in Cite Soleil" AwesomeStories.com. Oct 07, 2013. Apr 26, 2019.